We know how to make alignment lasers. We’ve been doing it for nearly 50-years, and shaft alignment for 22 years. So when we decided to redesign our shaft alignment systems, we worked on everything, from the electronics to the brackets to the software, to bring you the best, most accuraBluetooth: STEALTH SERIES TECHNICAL OVERVIEW te, easy-to-use series of laser alignment systems on the market today. And we made the entire series wireless because we all know how much of a pain wires can be, not to mention potentially dangerous, too. We also worked very hard on our software to make it so easy to use that training is only needed for the more complicated applications. One of our distributors told us that his users can put the system away for a month and take it out of the box and start using it without having to pull out a manual. Talk about easy! There are a number of key safety elements built into the Stealth Series™. First, since our systems are used in many rough environments we offer rugged IP65 Windows® tablets, IP67 laser heads & targets, and Bluetooth® technology that makes working around, and on rotating equipment safer since it enables the tablet, laser and target to communicate wirelessly, and does not interfere with other wireless frequencies typically used to control wireless crane systems. Most importantly we use small-diameter laser beams and narrow line laser fans to maximize the PSD sensor measuring range and also makes Stealth Series™ systems much safer than the up to 1-meter wide laser lines that some of our competitors use. With any shaft alignment, it is important to find the axis of rotation of one shaft relative to the other to eliminate the effects of bracket mounting errors on the measurement. Traditional methods, like the rim and face method, attempt to do this but in reality still rely on machined faces and rims for accuracy. It is easy to see that an error in the flatness of a coupling face or the roundness of the rim can affect the measurement. The Stealth™ Series Lasers take care of this problem by using software to record position and angular data as the shafts are being rotated. 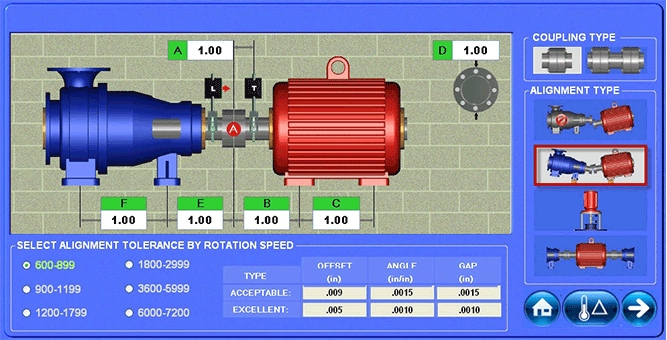 By rotating the laser and target together from 40º to 360º and taking up to 16 points/second along the way, the mounting errors can be calculated and subtracted out of the raw data to give you highly accurate alignment data of the motor’s shaft relative to the pump’s shaft without any calculations – we do the work for you! A patented technology that allows the measurement of offset and angle simultaneously with only one PSD, increasing system accuracy by 50%. We also perform up to a 500-point calibration on the PSD to provide the industry’s highest accuracy that is up to 15-times more accurate than our competitors systems. Dual-Beam technology also provides an amazing +/- 5 degrees of angular range to ensure the laser stays on the target during data taking on long-distance applications and an angular resolution that is 10 times higher than the highest angular tolerance. Finally, blinking laser technology provides ambient light protection. We desiDual-Fan detector technologygned our Dual-Fan™ technology to be economical, versatile and accurate for our entry-level shaft alignment system. Dual-Fan™ technology allows highly accurate measurement of offset and angle simultaneously, using two 0.5-degree laser fans and two 20 mm PSDs. We also designed a special laser fan that only fans out to 1 inch (25.4 mm) at 15 feet (4.6 m), making it much safer than competitors lasers that can fan out to 1.5 feet (0.5 m), which we think is a safety issue. Dual-Fan™ also provides full angular measuring range over the entire operating range between laser and target, unlike the “over-under” lasers (2-laser, 2-detector systems) that have severely restricted angular measuring range when the distance between laser and target is greater than 3 feet (1 m). And to make the Dual-Fan technology up to 5 times more accurate than competing mid-priced systems, we perform a 40-point calibration procedure on the PSD. Blinking laser-fan technology also provides ambient light protection. All Stealth Series™ alignment hardware “heads” are compact, rugged and built to quickly and easily provide clear, dependable, accurate alignment data. They feature an environmental rating of IP67 for waterproof protection (can be dunked in a bucket of water up to 3 feet or 1 meter) and rugged handheld display units that feature high-resolution, color touchscreens. In addition, unlike some of our competitors, our wireless transmitter is safely sealed inside our heads, so are no connectors or cables that can fail or wear out. We wanted to make our systems easy to use both inside and out. That’s why we utilize “smart” LED’s to let you know what is happening with the lasers just by looking at the top of them. Our Couple6 software is every bit as brilliant as our hardware, featuring our Easy-Guide™ navigation with its easy-to-follow, high-quality color screens that makes even the novice user look like an expert! Just follow our 5-step process that guides you through each stage of the alignment and before you know it, you’ll be printing a report! 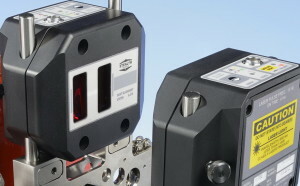 Duo-Plane™, Live Move screen, an exclusive, time-saving feature from the T-1290 5-Axis Target that allows the user to simultaneously view a live alignment screen for both the vertical and horizontal planes (4 axes) without having to rotate the shafts, like all those “over-under” systems do. This is critically important on large machine applications where tightening the bolts at the end of the alignment can create horizontal movement of the machine, causing the user to have to redo the alignment check. For our 3-axis systems, the S-660 and S-670, we offer our intuitive simultaneous 2-axis “live” display of move and foot values with continuously updating graphics to illustrate the motors’ alignment in either horizontal or vertical axis (plane) of the alignment. To see the horizontal axis live move screen, just rotate the shafts from 12:00 to 3:00 or 9:00 and Couple6 will automatically switch the Step5 Move Screen to the Horizontal Axis to display the alignment results so you can begin moving the motor, all without having to retake data! Our extra-large 20-33 mm PSD measuring areas in our target heads and our +/- 2 to +/-5 degrees of angular range combined with our uni-directional laser beams mean you can skip the ever time-consuming “rough” (pre) alignment of the motor during new machine installations. This saves tons of hours of labor each month! 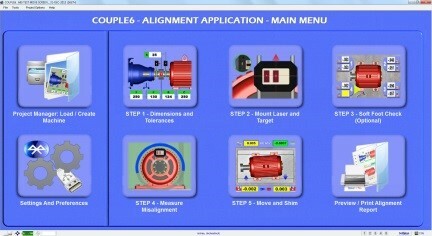 Just clamp the laser and target on the shafts and go to our Step 2 Laser Setup Screen where there is a live display of the rough angular alignment. Then rotate the shafts and if you get numbers for at least 90 degrees, you can go to take data! If not, you can use the live display to roughly align the motor in angle so you can take data. It is that simple! 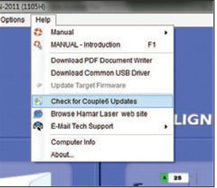 If you forget how to do something, then you can quickly access our manual right in our Couple6 software by selecting the Help Menu (or hitting F1) and the correct page of the manual will automatically display. Compare that to our competitors’ multi-page cheat sheets or 100+-page manuals that you can read while you are at the office or print out to bring with you on the job! With software this easy to use, training is really only required for the more complicated applications. The Stealth Series offers familiar Windows 7 or 8 IP65 rugged tablets that are available from most computer stores. So there are no expensive, proprietary display devices to replace if broken. Even if you purchase one of our entry-level laser systems, you can easily upgrade it to have more advanced features. Just email us or your distributor a purchase order for the new features and within a day or so you will get a new license by email that installs on your tablet in seconds! Then just open up our software the new feature will be there! Print Report: Just Plug in and Print! Tablets & PCs – Plug the tablet or PC into a printer and print away for detailed, color reports. It’s that easy… Want to email a report? No problem! 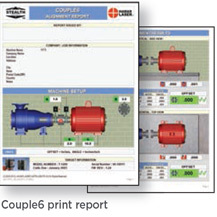 Just select PDF in the print screen and then attach the report to your email and hit send. Done. Unlike the competition we feel we owe it to our customers to constantly improve our software and provide free updates for life. Just click on “Check for Updates” and Couple6 does the work for you. 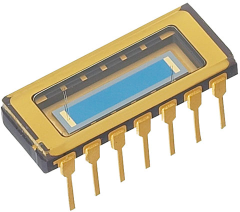 A major problem with 2-laser/2 detector shaft systems is trying to use them on long-distance applications. As the upper illustration shows, when you try to make moves to the motor, the long distance makes the readings very sensitive to angular changes. For example, a tiny angular movement of .0005″/in (0.5 mm/100 mm) at 10 feet (3 m) will cause the laser beam to move in offset by .060″ (1.5 mm)! 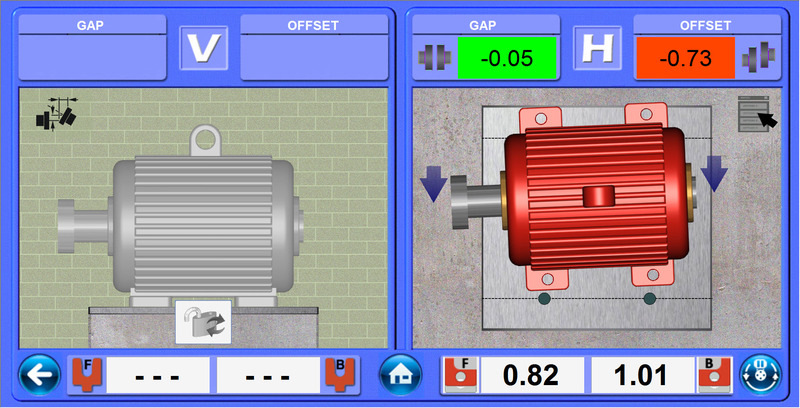 This makes aligning the motor’s offset value very difficult to do especially for the horizontal axis. With our uni-directional laser technology, however, angular moves to motor do not move the laser beam at all and therefore do not affect the offset values! 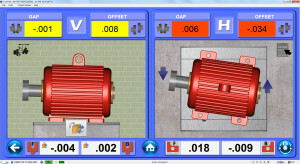 This means aligning the motor is amazingly easy, especially over long distances.